Dry food is the most popular type of cat food in the US. And you should probably throw it out today. The first thing to recognize about dry food is that it doesn’t have to be the status quo of feline nutrition. Dry food for cats has a relatively short history, catapulting from virtual nonexistence to the position of most popular cat food type over the course of just about seventy-five years. While it stands as the standard fare today, its artificiality and nutritional inappropriateness becomes ever more obvious. Dry cat food is bad for cats for multiple reasons. The most significant one, though, is right there in the name. Dry cat food is, well, dry. Cats, like all other creatures, demand adequate hydration to support optimum health. In nature, cats healthily subsist upon meat, meat, and nothing but meat. Cats’ prey is mostly made of water and is, alone, quite hydrating. So based on their natural dietary needs, cats have low thirst drives. In the wild deserts where domesticated cats originate from, a cat would live off of prey and perhaps a little bit of water. They would seldom drink the amount of water necessary to compensate for a 100% dry diet. It’s unlikely that any cat will ever chug enough water to make up for the low moisture content of dry food. And chronic dehydration leads to one of the biggest health problems cats face today: urinary tract disease. 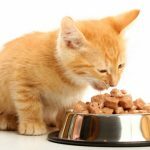 What do scientific studies say about dry food and feline UTI? The Jerusalem study was published in a 2011 edition of the Journal of Feline Medicine and Surgery. It revealed that of 82 cats diagnosed with urethral obstruction, 83% consumed only dry food. The remaining cats consumed both dry and wet. None of the cats suffering from urethral obstruction ate only wet food. In the healthy control group, a little over half of the cats consumed dry food – the most popular type of food for cats. Other observations from this study were that the sick cats tended to be younger, heavier, and more likely to live indoors than the healthy cats. Studies show that a high-moisture diet can cut the recurrence rates of idiopathic feline urinary tract disease in half. Is there a link between dry cat food and feline UTI? It’s clear that there’s a link between dry cat food and feline UTI. I am particularly adamant about this based on personal experience. Following my cat’s second bout with idiopathic FLUTD, we switched him from dry food to a high-moisture diet. In the six years since then, he’s not struggled with urinary tract issues once. Numerous other people (perhaps including you!) have experienced the same thing. And there are scientific studies backing us up. Dry food is convenient in the short-term. But in the long run, it could lead to serious disease. If your cat has gone through a UTI or you’re worried that they will soon, please stop feeding them dry food. Try canned food or go raw instead. These foods contain at least 75% moisture content – similar to the moisture content of their natural prey – and will keep your cat’s system flushed. Feline urinary tract disease results in difficulty urinating or the total inability to urinate. In the case of a complete blockage, FLUTD can result in toxins building up in the body – this can lead to death. There are numerous factors that contribute to your cat’s risk of developing a UTI or other urinary tract disease. FLUTD affects an estimated 1-3% of cats each year. That makes it one of the most common cat diseases. How would that statistic change if dry cat food was no longer the most popular variety of cat food on the market? 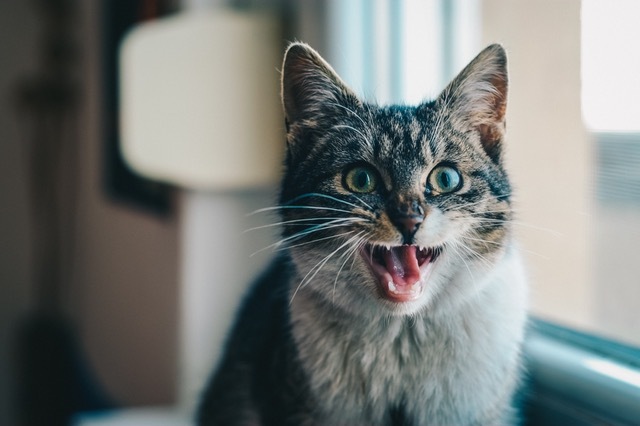 Theoretically, dry food gently abrades the surface of your cat’s teeth and scuffs off tartar, while the pressure of chewing hard pieces of food strengthens your cat’s roots. Another aspect of the argument suggests that kibble leaves minimal residue in your cat’s mouth, in turn discouraging bacterial activity. Makes sense, right? 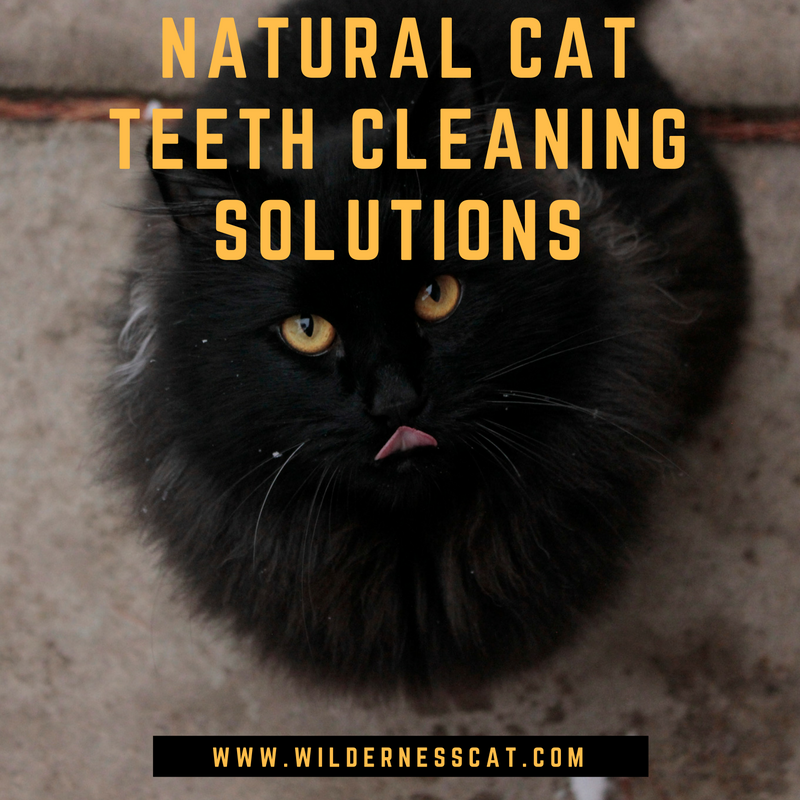 According to years of rhetoric spread by authoritative veterinarians and respected pet food manufacturers alike, dry food has won out over wet or raw alternatives when it comes to dental hygiene. But as you’ve likely realized, not everything that large groups of people have believed for years is necessarily true. Often, these dogmas are completely false and indeed, the opposite of the truth. 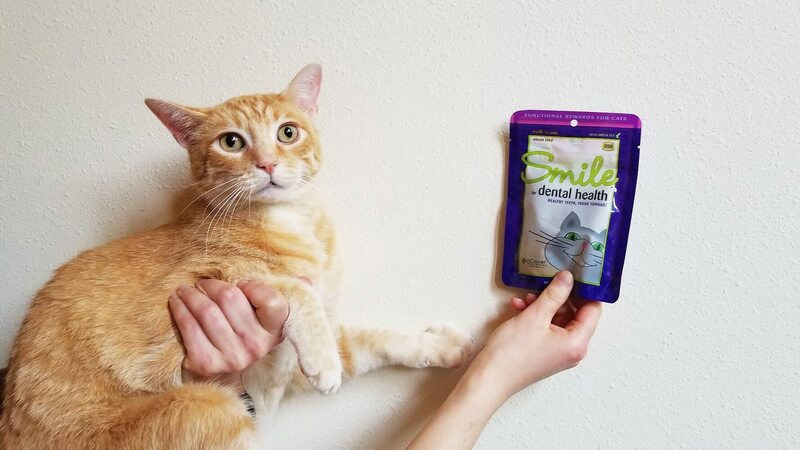 So appears to be the case of dry food and its connection to dental hygiene. 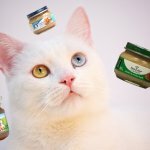 Numerous studies have shown that there is no clear correlation between dry food consumption and improved dental health. This is refuted by the fact that cats have very limited mastication ability and will basically swallow kibble whole, rendering impossible any possible abrasive effect. As for it leaving less residue in the mouth, let’s argue the exact opposite point: the high carbohydrate content of dry food actually creates tartar and plaque by leaving behind a starchy residue on the teeth. Dry food loses this round. The idea that dry cat food helps to clean teeth is nothing more than a myth. Physiologically speaking, cats aren’t suited to a high-carbohydrate diet. Because cats are obligate carnivores and naturally consume diets based on eating prey, their bodies just aren’t that good at metabolizing carbohydrates. This means that on a high-carb diet, blood glucose levels tend to increase. Insulin secretion goes up. This is a recipe for feline diabetes. How did dry cat food become so popular? Let’s take a look at the history of cat food. 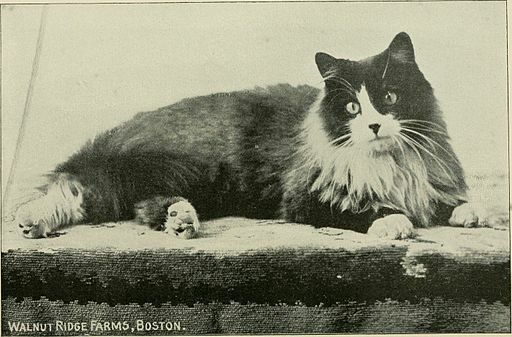 Through the middle of the 19th century, it was widely believed that cats didn’t need to be fed a specific diet because they could fend for themselves. As most cats lived outside and often served as varmint hunters, these cats seemed to subsist healthily off of their own prey. And since hunting rodents was essentially their profession, it was thought that feeding cats would make them less effective hunters. That said, this idea had its critics. Table scraps were a common addition to the raw meat diet. Around this time period, commercial cat food did exist, but not in the “complete and balanced” form we think of today. 19th century cat owners could purchase cheap meat, usually horse meat, from “cat’s meat men” who peddled this meat in wagons on the street. But because no one imagined that cats would subsist on this food alone, there was little widespread interest in a nutritionally complete cat diet. But by 1876, the idea that cats need regular meals was gaining traction. “…cat ought to be fed at least twice a day. Let her have a dish to herself, put down to her, and removed when the meal is finished. Experience is the best teacher as regards the quantity of a cat’s food, and in quality let it be varied. Oatmeal porridge and milk, or white bread steeped in warm milk, to which a little sugar has been added, are both excellent breakfasts for puss; and for dinner she must have an allowance of flesh. Boiled lights are better for her than horse-meat, and occasionally let her have fish. Although canned cat food became common at the beginning of the 20th century, there was no such thing as dry food for cats until World War II created major changes in the economy. Metal rationing made cans less accessible and pet food was classified as a non-essential good. Production shifted over to dry food and kibble saw its rise to prominence. By 1946, dry food made up 85% of the market. And then in the booming post-war economy, human food manufacturers recognized the potential of cat food as a way to utilize manufacturing byproducts. During this time period, reliance on commercial cat foods became essentially absolute. In summary, dry cat food became popular because WWII forced canned cat food to the back burner. Cheap and convenient, dry cat food dominated post-war market and was there to stay. Today, dry cat food is the most popular type of cat food in the United States. You should probably throw out your dry cat food today. But what’s better for your cat? Let’s consider raw food . 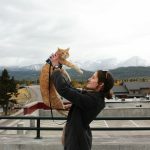 Just as many people are turning towards diets that better reflect the historical dietary elements of humans, there is a movement to encourage cats to consume more biologically appropriate foods. 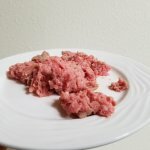 Raw feeding is the epitome of this principle and it has plenty of benefits. 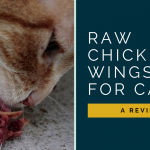 Gnawing on raw meat and bones helps to keep cats’ teeth healthy. Raw food engages your cat’s teeth and jaws in a way that the average cat food does not. 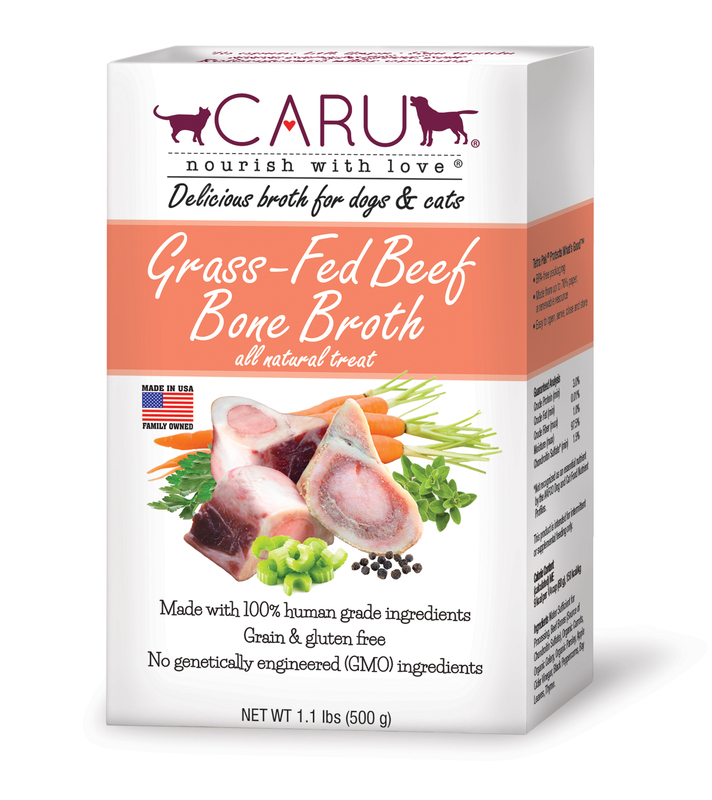 When it comes to preventing periodontal disease and keeping your cat’s mouth in great shape, you can’t beat raw feeding. Raw food is biologically correct, meaning that it is suited to your cat’s system like no other food. While dry food manufacturers do attempt to artificially recreate the nutritional properties lost during processing, any complete and balanced dry food is still only a facsimile of real food. Dry food, as we just learned, is too high in carbohydrates for obligate carnivores. Continued dry food consumption can lead to obesity and diabetes. And critically, raw food provides adequate hydration, essentially eliminating concerns about feline urinary tract disease. P.S. I grind it in my magic bullet and add enuf liquid (raw goats milk and water) until the consistency is palatable,,,takes a minute to absorb and thicken as opposed to the non ground pellets that don’t absorb well . Usually the ratio one part ground food to one part liquid.,,,,raw food is 75% water. From what I’ve seen, Carna4’s dry food contains barley, fava beans, sweet potato, sprouted flaxseed, lentils, peas, potato starch, kelp, cranberry, and sunflower oil. Sounds like health food store granola. Not cat food. It’s no wonder your cat didn’t do well on it. I believe cats are better off getting their nutrients from synthetic additives than from a slew of fruits and vegetables. And you’ll be happy to hear that there is a better kibble than Carna4. Dr. Elsey’s cleanprotein dry food is the best I’ve ever seen. It uses gelatin as a binder instead of the typical starchy binders, which is virtually unprecedented in dry foods. Their kibble has less than 10% carbohydrate content and is quite meat-rich. It’s the only dry food I would tentatively recommend to someone who, for whatever reason, can’t feed their cat a regular high-moisture food. Secondly, may I recommend switching from the Carna4 vitamin mix to EZComplete’s? EZ Complete is the only (that I’m aware of) supplement mix that has actually been nutritionally analyzed and proven to meet AAFCO guidelines when prepared with a certain blend of meats and other ingredients. And it doesn’t contain any organic sprouted ground seeds. Hope this helps. Please let us know if you have any more questions or comments. Dry food will eventually kill your cat. Only it will be called “diabetes”, or FLUTD, or CRF…………kidney disease kills more cats than anything else now and it wasn’t that way before people started feeding them dry food. 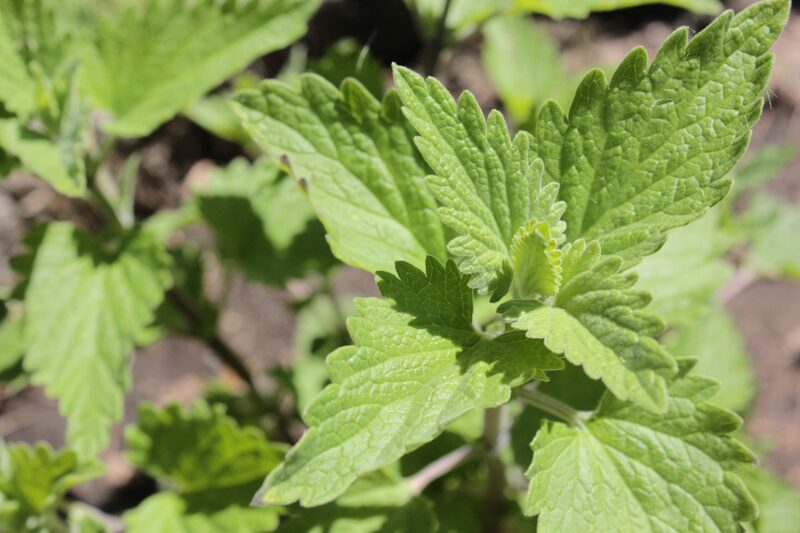 rather than just treating a symptom, it wants to cure the whole problem. And there is a Bogeyman for cats in the form of “dry food” , my friend. and it causes all kinds of problems that they just don’t get in the wild. 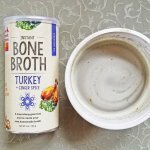 This article fails to address the fact that not all dry food is grain or starch – based. Because of the growing awareness about the dangers of feeding cats a high-carbohydrate diet, pet food manufacturers have evolved their product lines to include grain-free dry foods, which offer the convenience of dry food while also being a fine source of protein for pets. And I don’t believe that raw food is the holy solution to all problems that these pseudo-biological historians would like you to believe it is. Like all diets, raw is imperfect, carrying with it a high risk of disease, mishandling, and encourages would-be veterinary dietitians to get involved in the production of their pets’ food – a risky process best left to real professionals. It all comes down to the fear of death. People are so afraid of their cats dying that they will look for anything that promises immortality. With each new food fad comes the suggestion that this might finally be the precious elixir of life. But it never is. We can blame disease and death on something new every day, but the fact of the matter is that those things are a part of our reality and we’re always in danger. I’m not saying that there is no value in making good nutritional choices – I’m just saying that absolutely no food is the boogeyman that the latest holistiquack wants you to believe it is.